With all the information available on white, refined foods, bread has received a bad rap and yet we all want to eat it? We have been eating bread for over 30,000 years! It has been a staple of survival. An Earth food that sustained us during hard times. With that historical information why are we avoiding bread? I have an immense craving for bread. There are times that no matter what I eat, unless I have a piece of bread, I do not feel satisfied. I have to ask myself, is it connected to our ancestral and genetic memory? Can you imagine several hundreds or even thousands of years ago being hungry and the only thing available were grains? Grains are easily stored for winter use. They do not spoil easily and are full of nutrients needed for survival. During WWII in Europe people died over bread. My father tells me the story of when he was a teenager and hiding in the hills of Greece waiting for trucks containing stolen bread from the villagers. A strong, young man, he would jump onto the moving trucks, grab and throw the bread back to the people. Risking his life for bread? When we look at religion, there are so many rituals involved with bread. So I ask myself, again, why are we avoiding bread? Well, there is good reason. The breads we eat today are not the breads of our forefathers. They have been refined. Stripped of their nutrients and then added back in as “enriched”. These refined breads do have health risks, however, we have choices. I say, let’s eat bread and let’s eat it beautifully! There is no reason why we can not purchase or even make our own bread. If you purchase, be careful of the labeling. Unless the label says 100% whole wheat, it is not. The color does not indicate anything as caramel can be added. There should be as little ingredients listed on the packaging as possible . 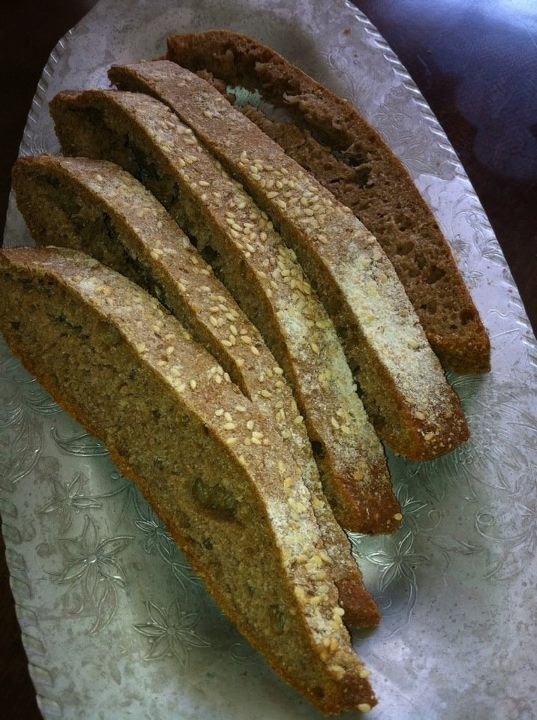 Look for 100% whole wheat and/or specific lists of grains if a multi-grain bread. The only other ingredients allowed are yeast and salt. When eating, remember your ancestors. They did not have food in abundance. They ate to survive. When you eat bread, think about your portions. We eat two slices! This is to much. Limit your portion and eat light and eat frequently throughout the day. If you are allergic to wheat or gluten, there are other options that you can discuss with your physician and/or nutritionist. Many of us are concerned with loosing weight and our protein intake. Grains have protein! It’s all the other, added ingredients and portions that make us experience inflammation and weight gain. 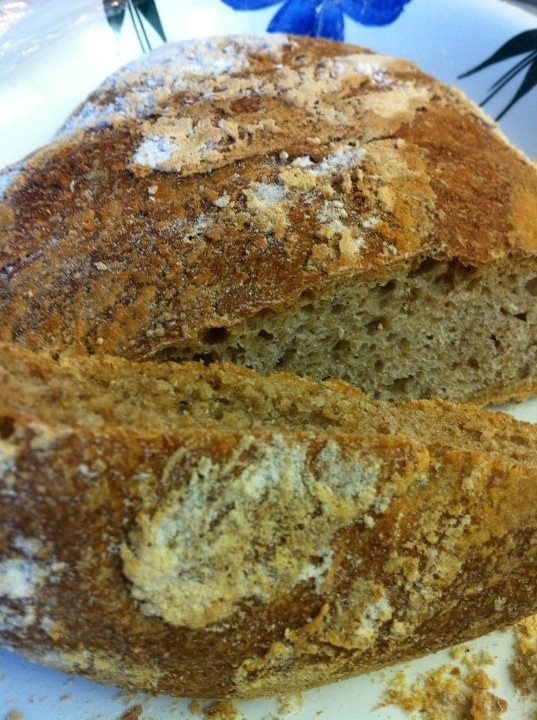 These are pictures of our home made Ciabatta Bread. You may see glimpses of it in some of my other food posts as a side. There are great recipes available on the internet. I suggest you substitute with whole wheat flour. When making bread, family gets involved. From the mixing to the needing to pleasure of the aroma that fills the house. Making two loaves every two weeks keeps it a special family ritual. When we break bread we do it together. We enjoy the time we spend together, the flavor, the health benefits, the aroma and the memories we are creating. The entire experience is Beautiful as we are grateful and thankful. Eating Beautiful is a mindful experience that involves all our senses and keeps us in the present moment. I’m looking forwards to a cozy winter with the aroma of bread. stmodel, thank you. i hope you have a great, healthy and happy winter.